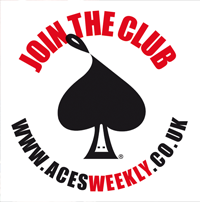 Ricky, Pete and Adam were attending the ICE/Comics Uncovered double whammy in Birmingham. Saturday saw them doing the things they do best: selling issues of Copperopolis, and talking to people. 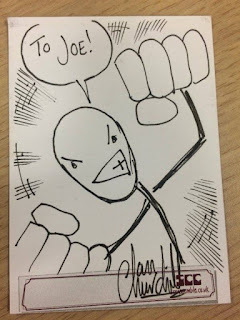 Adam and Ricky also set about approaching the fine men and women who were guests at the convention on Saturday; in hope of expanding the library of Joe Stickman art, and as always these professionals were happy to have a go at doing a Joe. First up we have legendary 2000AD writer John Wagner's Joe. 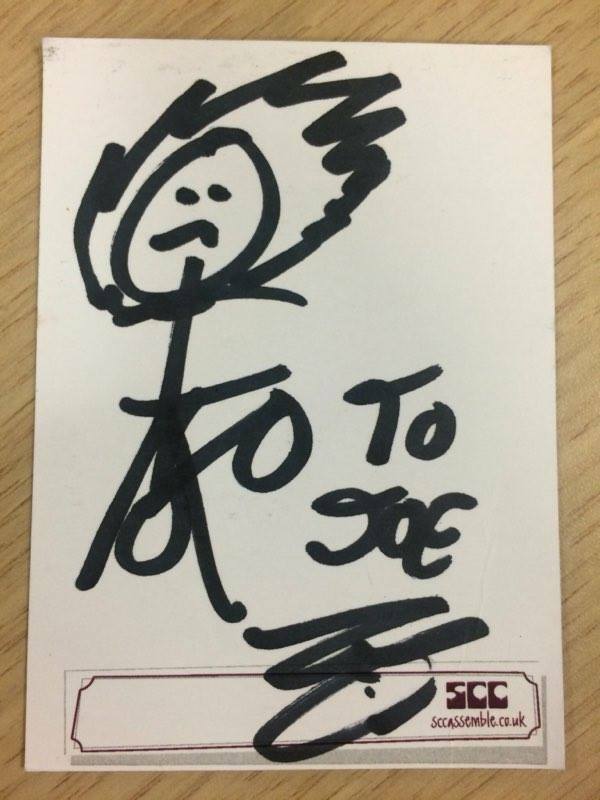 Here is 'Limbo' artist Caspar Wijngaard's interpretation of Joe. And here is 'Limbo' writer Dan Watters' top-hatted Joe. Here we have the talented Anastasia Catris and her stick-wielding Joe Stickman. Marvel-ous artist Declan Shalvey (who also works for the Distinguished Competition too) gives his Joe Stickman a little humour-filled 'Injection'... ahem... we're done with the puns now. That 'Dark Horse' Laurence Campbell (sorry, we couldn't resist) decided to get to the bare bones of our beloved Joe. One of comics' hottest artists, Sean Phillips, here with a dynamically drawn Joe. Marine diving fanatic and fantastic artist, Ian Churchill, has our Joe really packing a punch. We have our first 'repeat offender'! The stellar writer, Rob Williams, and his second Ghost Rider Joe. Rob is currently writing 'Unfollow' for Vertigo Comics. This title is a particular favourite of Adam's and both he and Rob would love for you to pick up a copy from you local comic shop. If you want to see which comic greats we get to draw a stickman next make sure you stay tuned, same stick-time, same stick-channel!